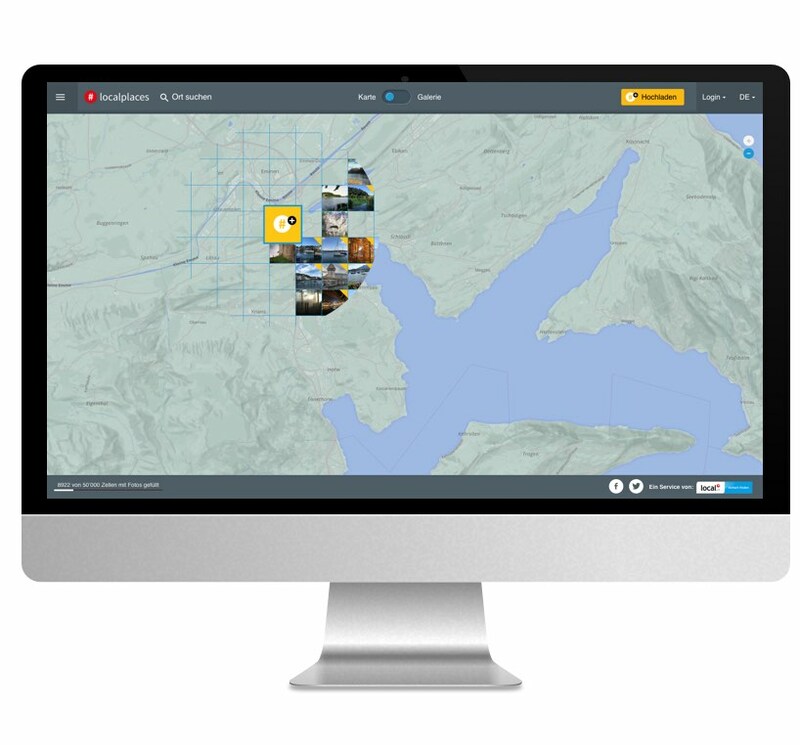 Thanks to Instagram’s and Twitter’s geodata users can display content related to a specific location or from within a defined radius. This is an excellent way for anyone to show the atmosphere surrounding a specific locality. Since Switzerland Tourism launched the hashtag #inlovewithswitzerland, every year it is used by more than 250,000 Switzerland lovers from all over the world. 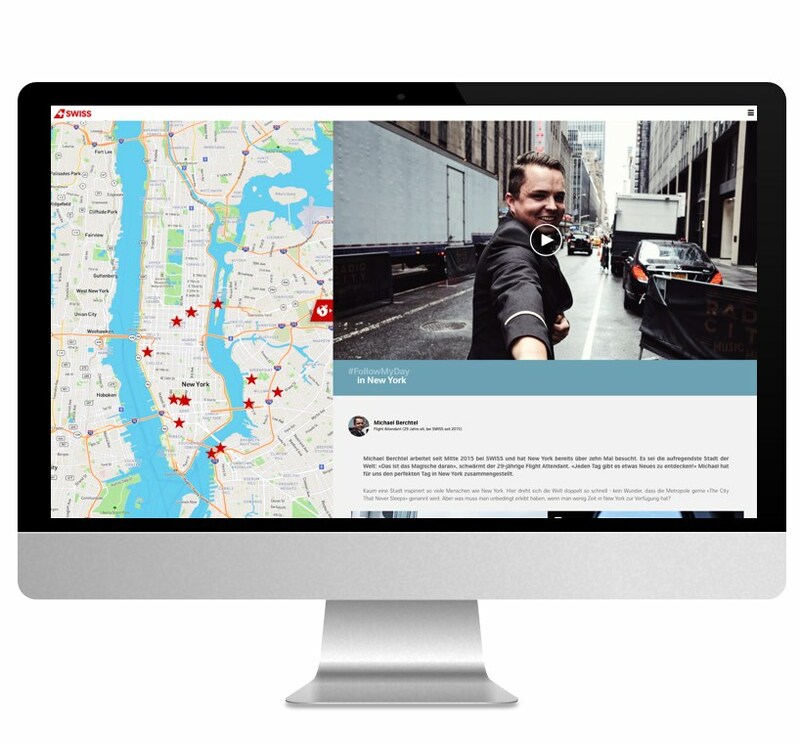 The traveler’s photos and videos are displayed on a digital map using their geodata. 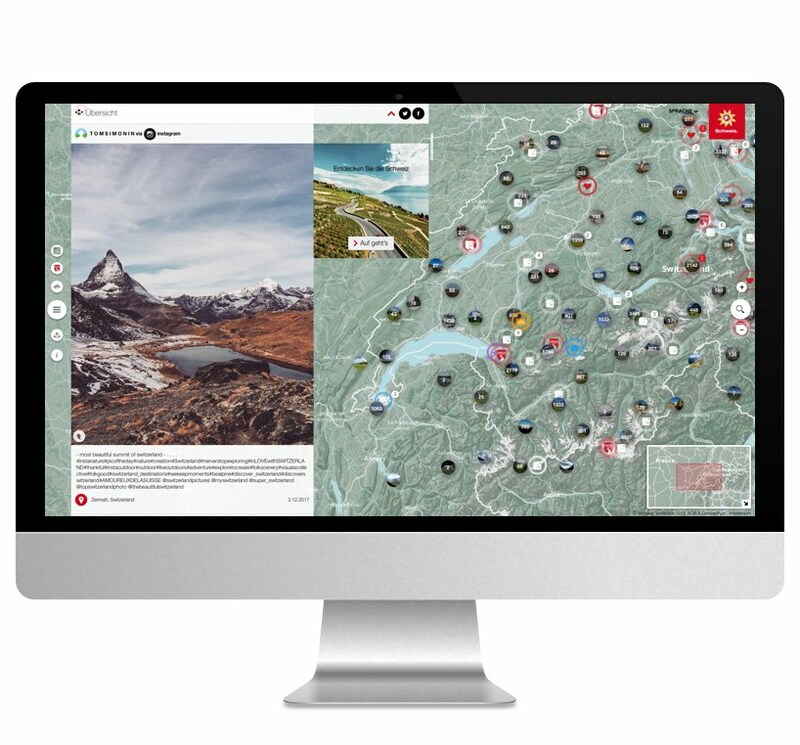 This transforms the social hub inlovewithswitzerland.com into an interactive platform, where current and future travelers of Switzerland can explore the country and its many sights. The project #localplaces from local.ch, the largest location marketer for small and medium-sized enterprises, has set itself the ambitious goal to cover the entire country in hashtags. To achieve their goal a map of Switzerland was covered with a digital grid. The user’s photos and videos with the hashtag #localplaces are entered into the corresponding field according to their geodata. It’s only a matter of time before every corner of Switzerland is covered with images. The SWISS pilots and cabin crew show you their idea of a perfect day at a top destination. Their photos and insider tips make up the content of the blog followmyday.ch. As the readers scroll through the articles the locations being described are directly displayed on the integrated map. For the 2014 World Cup contentfry created a website that showed this major event from the public’s point of view––captured by thousands of cameras and shared on various social networks. The official hashtag for the opening game was used 12.2 million times within 24 hours. This flood of posts was filtered and connected according to hashtags, geolocations and users. This allowed to separate relevant posts from irrelevant ones, and the first ever social public viewing website was created. 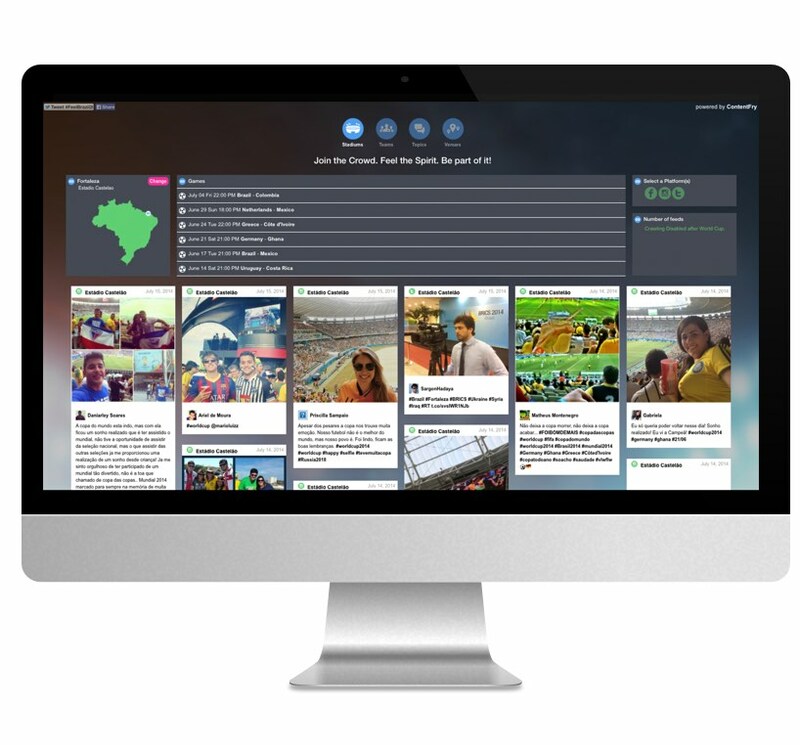 With only a click, users could take a seat in one of the twelve stadiums in Brasil and explore posts from all World Cup teams and players and discover the most popular hashtags.